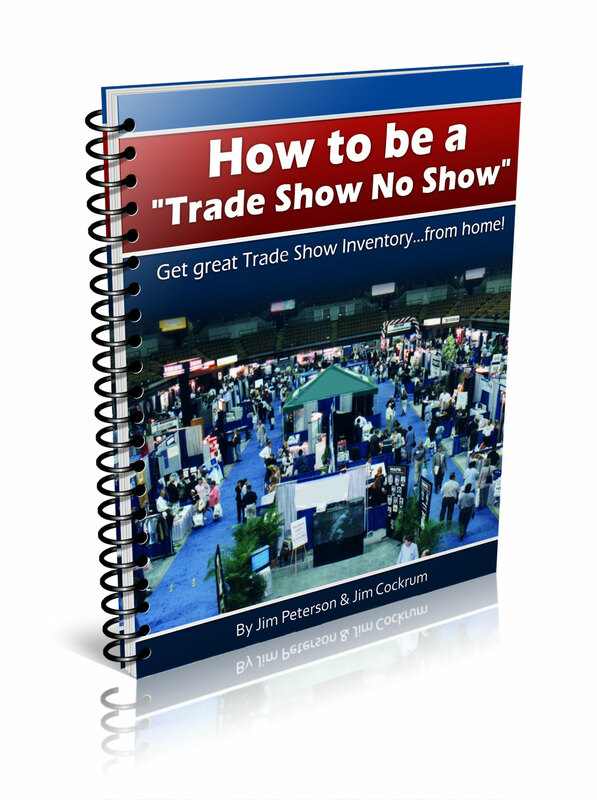 How to Be a “Trade Show No Show” — Get Great Trade Show Inventory… from Home! - How to be a "Trade Show No Show"
This is the exact strategy I used to sell over a $1 Million on Amazon this year at great margins. The fact is, vendors at trade shows are actively seeking people like YOU to help them sell more of their deeply discounted inventory and if you know how to play the game they DON’T CARE if you actually show up live or not! Wait a minute…what’s a trade show? A trade show is a conference-like exhibition organized so that companies in a specific industry can showcase and demonstrate their latest products to big buyers. There are hundreds of trade shows conducted every year worldwide for every imaginable product sold. I can show you how to find these shows and how to find profitable inventory there, but unlike most “trade show” shoppers, you don’t ever have to attend! The secret is that you can still reap almost all of the benefits of having attended a trade show WITHOUT SHOWING UP! We’ve been doing just that for a long time now and have built a MILLION DOLLAR BUSINESS with this concept… and I’m sharing it with others to help them build their own successful business. My wife started selling on eBay about 10 years ago. We were both working for the Federal Government at the time. She was selling very few products online initially. I remember fantasizing with her and saying that if we could sell just one product per day and make a $5.00 profit per item we could pay our power bill for the month. How small that goal seems now in retrospect. After going to trade shows we gradually increased the number of products we were selling. Our business really took off at that time and she decided to quit her government job and devote all of her time to the online business. She was pregnant with our second child at the time so the timing was good. The business kept growing from there! We sell almost exclusively on Amazon now. 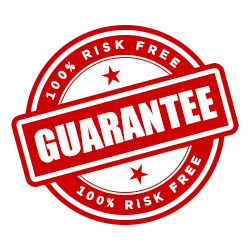 With Amazon FBA we don’t have to fulfill the orders or deal with returns (I’ll share more about that in the below report). The short version of the story is that we now let Amazon do all of the “hard work” for us and we find ourselves with more free time making more money than we’d ever planned on making. I took an early retirement from my government job not long ago and joined my wife full time in the online business. Our first partial year of working the business together, we had a little over $650,000 in sales on Amazon and we’ve grown from there steadily. In our most recent year our sales are easily double what they were at the same time last year as we approach the half way point of the year. We will definitely surpass $1,000,000 in sales for this year. We have over 5000 listings on Amazon right now and plan to add 100’s more next year. Last December our gross sales for the single month were in excess of $145,000. My wife and I are now both stay at home parents and our children are in private schools. We have the ability to take first class nice vacations every year and we do. We treat this just like a real job and put a lot of effort into it, but we’ve never loved our “job” more than we do now! I feel like I am bragging in saying these things, but I need you to know what is possible for you if you learn and put the effort in. If you want more details on how we are doing what we are doing I think you’ll love the report we’ve put together for you with trusted Internet business expert Jim Cockrum. INTERNATIONAL or NON-U.S. based sellers. We have everything you’ll need as well to use this system! Since Amazon is a dynamic platform, we updated the ebook to address current questions from our students because we want to make sure every student has the knowledge to succeed in 2019! "...I can take my Amazon business to the next level now..."
"Thank you for this course. I went through the whole ebook and was able to register and get accepted to my first trade show! I feel like I can take my Amazon business to the next level now." "...it is this real-world experience that is priceless to me." “As a long-time eBay / Amazon seller, I’ve attended my share of trade shows in search of great merchandise to resell. The trade show environment is almost always the same; long lines to register, big crowds everywhere, a noisy environment, (which makes it hard to think, let alone carry on a decent conversation) and, in general, not enough time to analyze potential product buys for resale. After reviewing “Trade Show, No Show”, I am excited to see that there is a better (much better!) way to benefit from trade shows! "...this book is going to revolutionize how we find new sources of inventory..."
To be successful at trade shows you have to do your research in advance to maximize your time. However, there always seems to be more booths and showrooms that we want to visit than there is time. "...my head is spinning with all the possibilities..."
“I must admit…before reading this book, I had never considered adding trade shows to my sourcing plan of action. Now that I have read this marvelous book, my head is spinning with all the possibilities that have presented themselves to me. I have now revamped my strategy because “How to be a Trade Show No Show” will be my blueprint for success in sourcing profitable inventory from trade shows. "This is a strategy we are already building into our business." "...turns a potentially exhausting experience into a quiet day at the office!" "...I’m confident that this is something I can do." Interested in attending trade shows in person? As a bonus, you will also receive a valuable resource that teaches you how to work a trade show successfully in person (the bonus itself is worth the price of the ebook). Learn how to avoid the headache and hassle of attending trade shows while reaping all of their benefits. Begin planning for a boost in your business's inventory today!